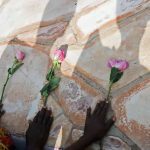 Mountain gorillas are apes under the primates’ family that inhabit the forested Virunga Mountains in northwestern Rwanda, southeastern democratic republic of Congo and south western Uganda and those of Bwindi impenetrable forest. Mountain gorillas are very endangered species with only 900 of them estimated to be remaining on earth and they can only be viewed in their natural habitats in Uganda, Rwanda and Democratic Republic of Congo. 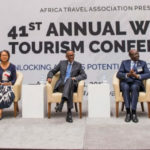 Every year, the number of tourists who visit these countries to view the mountain gorillas increase some tourists actually going for gorilla trekking safaris because you cannot really get enough of these magical animals. 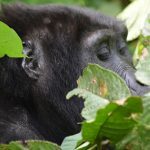 For the first timers, lets look at the major facts about mountain gorillas you should know before embarking on journeys to go for trekking in Uganda, Rwanda or Democratic Republic of Congo. Their name just puts it clear that they definitely live in mountains and yes they do live there. The mountains where they live are actually forested and some times the mountain gorillas decide to go high towards the mountain peaks. 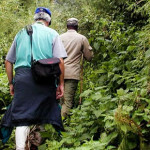 This means that all those interested in mountain gorilla safaris should get ready to hike through the forested mountains. This should however not scare you because there are mountain gorillas that live on relatively lower slopes and can be trekked for shorter periods of time like in 2 hours. The forested mountains are very cold however the mountain gorillas survive well in this environment all thanks to the thick fur they have that provide the necessary warmth they need. These incredible animals are actually vegetarians and feed on leaves and bamboo shoots. They spend most of their day feeding. Some times mountain gorillas sit and grab all the edible plant leaves in the reach of their arms as they eat. A mountain gorilla meal typically comprises of leaves, bamboo shoots, and wild fruits. The young ones breast feed until they reach a reasonable age when they can start feeding on their own. Mountain gorillas live in groups ranging from 10 to 30 or more led by a dominant silverback (male mountain gorilla) that usually fights hard to protect its family. Whenever a male mountain gorilla feels strong enough, it fights hard to get females and if possible it moves away from the main group to start its new life. 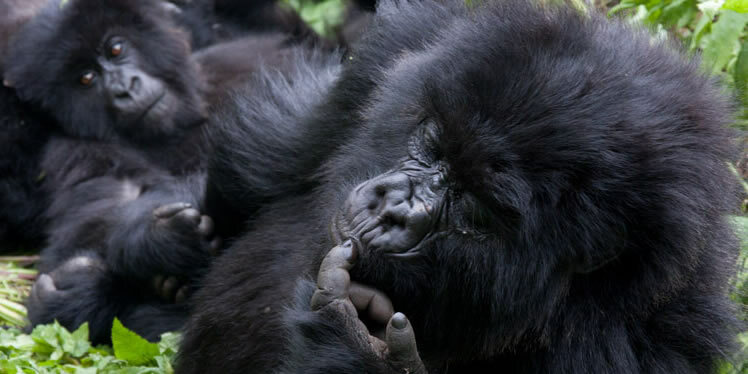 Mountain gorillas are very peaceful animals if not tampered with. Whenever tourists are in their presence, they continue feeding or relaxing and sometimes move away as long as the tourists keep a reasonable distance away from them and do not provoke them in any way. 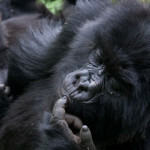 Mountain gorillas are very strong and if disturbed can loose control and attack. 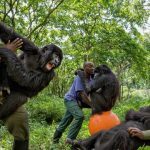 To avoid all these, tourists are always advised to keep a reasonable distance a way from them, avoid copying mountain gorilla habits like beating the chest because it would appear as if you are provoking them to fight. Use of flash photography is also not allowed in the presence of mountain gorillas as well as making a lot of noise. They usually move from one place to another searching for fresh foods and for that reason, they do not have permanent places to sleep. They rather build new sleeping nests every day where they will be sleeping for that night. 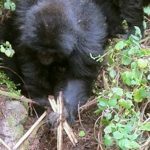 This is one of the reasons why trekking mountain gorillas usually involves moving for some time as they can also be on the move. Having about 98% DNA similar to humans, mountain gorillas can easily contract human diseases like flu and many other communicable diseases just within a short time. 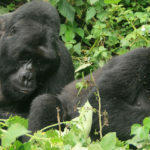 For that reason, there is a limit on the number of tourists visiting the mountain gorillas to 8 tourists visiting a mountain gorilla family in a day only spending with it strictly one hour. 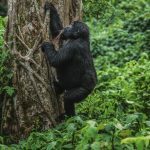 With all that in mind, any one going for mountain gorilla trekking in Uganda, Rwanda or Congo should be cautious and clearly take note of the mountain gorilla characteristics for remarkable safari experiences.